Brand new, impeccably decorated townhome at the edge of Bozeman with walking trails along Bridger Creek right out the back door. 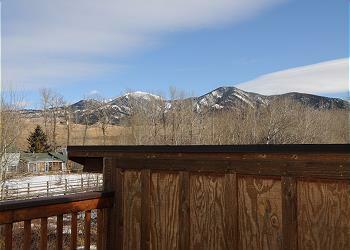 Great location between Bozeman and Bridger Bowl Ski Area. Across the road from Bridger Creek Golf Course and groomed Nordic ski trails. Bridger Creek Townhouse has air conditioning! 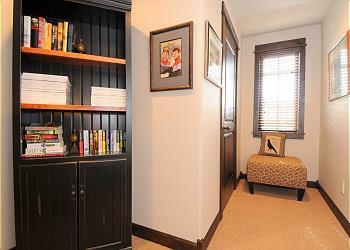 BRIEF DESCRIPTION: This beautifully appointed townhome is the best of both worlds in Bozeman. It’s close enough historic downtown to easily bike or drive and it’s nestled at the edge of town with mountain views out the back door. 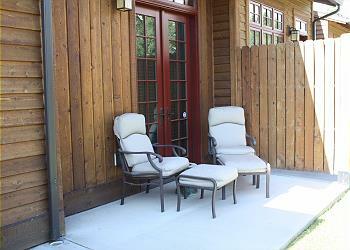 All three bedrooms have a private patio or balcony, so if you want to relax at home you’re all set up! 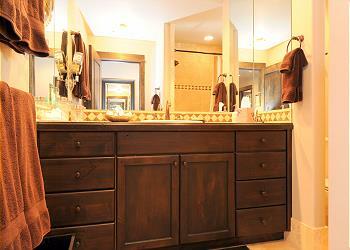 BEDROOMS AND BATHS: Bridger Creek Townhouse has three bedrooms, each with its own television, and two and a half baths. The master bedroom, on the main floor, has a queen size bed and a full private bathroom with two sinks and a double-headed shower. The master bedroom also has double doors out to a back patio. The other two bedrooms are on the second level and share a full bathroom with a tub/shower. The first guest room has a queen size bed and double doors to a very private balcony. The second bedroom has two twins, a DVD player, and a private balcony with a nice sitting area and views toward the Bridger Mountains. KITCHEN: A beautiful open kitchen awaits you! The chef in your group will love the easy layout of the kitchen, the high-end stainless steel KitchenAid appliances, gas cook top, granite slab countertops, great supply of small appliances, and very good quality cookware and serving ware. There is a bar counter for chatting with the cook and the dining table is just off to the side. There is also a gas Weber grill for your outdoor grilling. DINING AREA: A round dining table seats six comfortably. Just a few feet away is the kitchen bar, which also seats four. LIVING ROOM: The living room is open to the dining and kitchen areas, with a beautiful gas-fired rock fireplace and a 42” Vizio flat screen TV, DVD player and cable service. Cozy leather couches and overstuffed chairs are situated to enjoy the ambiance of the fireplace. The home is equipped with board games, movies and books. 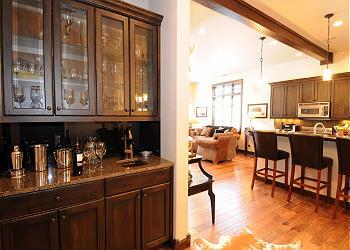 Around the corner from the fireplace is a small wet bar area. 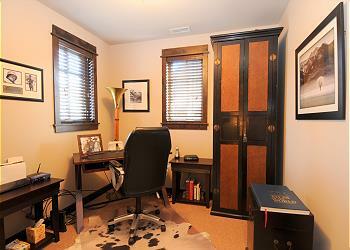 OFFICE: There is a small office upstairs if you need to set up shop and do a bit of work while on vacation. SETTING, ACREAGE, VIEWS: Bridger Creek Townhouse is within the very nicely done new Legends at Bridger Creek neighborhood at the edge of Bozeman. The developers did a great job linking the property into our community trail system (perfect for walking, biking and even cross country skiing) and making it an attractive neighborhood. From the twin bedroom balcony upstairs (perfect for evening cocktail hour) you get some mountain views. CLOSEST TOWN AND AIRPORT: You are 2 miles from Bozeman’s Main Street and a 15 minute drive from Bozeman’s Yellowstone International Airport. ACTIVITIES NEARBY: Besides hiking, biking and skiing on “your” trails, you are just across the road from Bridger Creek Golf Course, the best public course in Bozeman. You’re just 14 miles from Bridger Bowl Ski Area and a few more from Bohart Ranch Cross Country Ski Area. There is fishing on the nearby East Gallatin and main Gallatin Rivers, horseback riding, rafting, and everything that the fun town of Bozeman has to offer. Yellowstone National Park is only an hour and a half away! Kitchen was well equipped, beds were cozy, main areas were spacious and the dinner table sat all six of us. Will definitely stay here again! Everything was just as good as advertised. Sometimes properties aren't quite as nice as the pictures but in this case the property was even better. 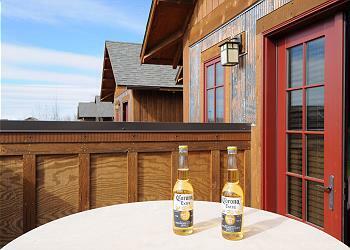 The townhouse was very well appointed and comfortable and convenient to everything Montana. We had a wonderful experience visiting Bozeman for the first time. 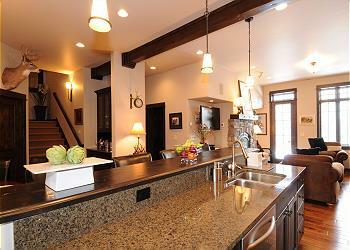 This Bridger Creek Townhouse was magnificent! It had everything we needed, was clean and organized, beds were very comfortable...we didn't want to leave. We'll be back again with Mountain Home Rentals again next year! 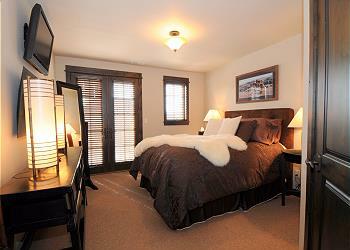 The townhouse was just as described and a great location for our ski trip to Bridger Bowl. Thank you for your review of Bridger Creek Townhouse. We pride ourselves on giving the most accurate information about our homes to all of our guests. Bridger Creek Townhouse is the perfect location for both skiing Bridger Bowl and having all the amenities of Bozeman nearby. Let us know whenever you are ready to plan another trip to Montana. We would love to help you find the perfect place for your next getaway. Thanks again and have a wonderful day! This property provides the comfort of home. Nicely decorated, comfortable seating and sleeping arrangements. 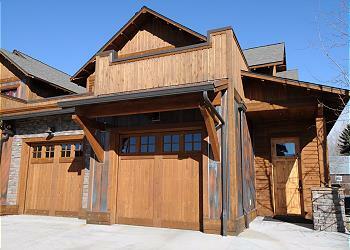 Managed by Montana Mountain Homes, a company that is seemless in their execution of your stay. First class home managed by a first class rental company! Steve and Carol you have us blushing! Thank you for your kind words about our service - we do try to make each guests' stay exceptional, and we only represent homes and cabins that we think guests will love. Thank you for being our guests with Mountain Home at Bridger Creek Townhouse, and we look forward to your next stay with us. - Suzy and the Mountain Home crew.